Explore Mauritius in a fun and eco-friendly way! We launched Electro-Bike in 2018 to provide an authentic and ecological way to explore Mauritius’ breathtaking views, lush nature and wild cliffs. Enjoy an exhilarating feeling of escape and freedom with our electric power-assisted bike. 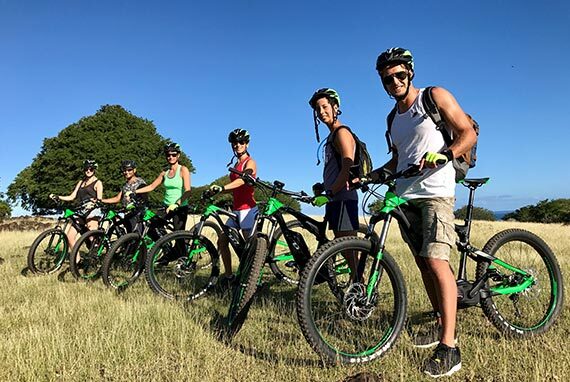 We cater for groups of 4 to 9 people, as from 12 years old, and provide our customers with comfortable electric bikes, adapted for all kinds of surface conditions, as well as gloves, a helmet and a backpack containing bottles of water. Follow us on paved streets, side roads or sand paths. One thing you can be sure of, adventure is always around the bend. Discover our rides around the Island!